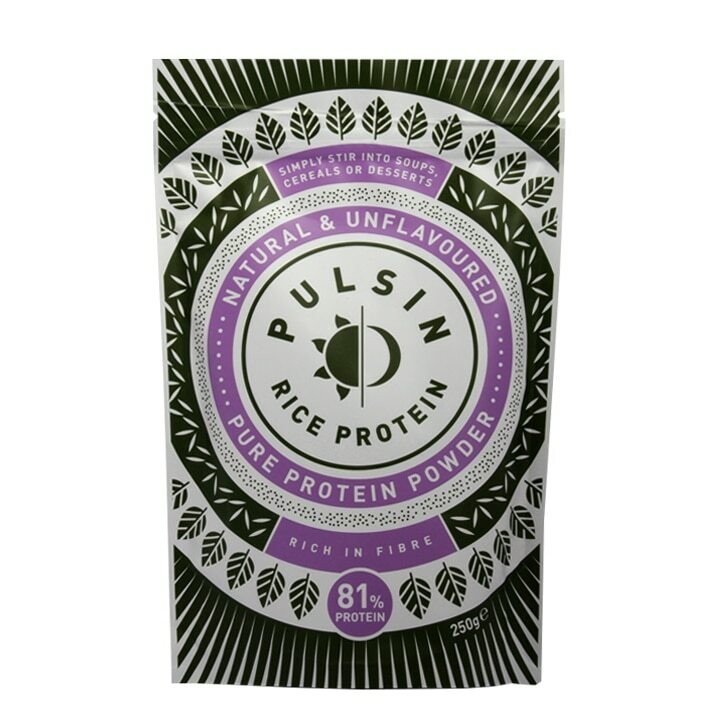 Pulsin Rice Protein Powder is rated 3.8 out of 5 by 5. Rated 2 out of 5 by Sonica from Nasty Taste I have used this product for 3 years with no problems, But when they changed the packaging they seemed to have changed the recipe , not for the better. It now tastes quite nasty when mixed into food where as before you could not taste it at all. Why they had to mess around with it I do not know, I won,t be purchasing again. Rated 2 out of 5 by oliver3456 from Works but doesn't mix well or taste nice I understand this is unflavoured protein, but when I mix it with anything, the taste of the powder dominates the drink or food, and its not pleasant. Also it doesn't mix aswell as other protein powders, so you get a powdery texture. The only good thing is it agrees with my stomach. Rated 5 out of 5 by jen58 from Just what I wanted Pleased with my purchase, the product was exactly as described. Rated 5 out of 5 by Kay20 from Great product I've been avoiding dairy for a month now to see if there are any improvements to my skin. I bought this protein based on reviews and the fact that I feel I can trust H&B to sell a good quality product; I use it every morning in a smoothie and sometimes mix it with the pea protein they offer, too. The powder mixes nicely and leaves no taste - I've mixed it into soups before to thicken. I really love it! Rated 5 out of 5 by Brie from Such a great product I wanted to find a protein powder that didnt have any chemicals in it and that was natural. I have been using this Protein powder for some time now and, I love how it gives me the energy I need. This protein powder is helping me to maintain my weight and also to put on weight...as I needed to gain a few extra pounds. I use this protein powder in my cereal, because it is easy, quick and taste good....I feel satisfied after using this product. I am very happy with this Product,I have even recommended It to my cousin who is vegan.